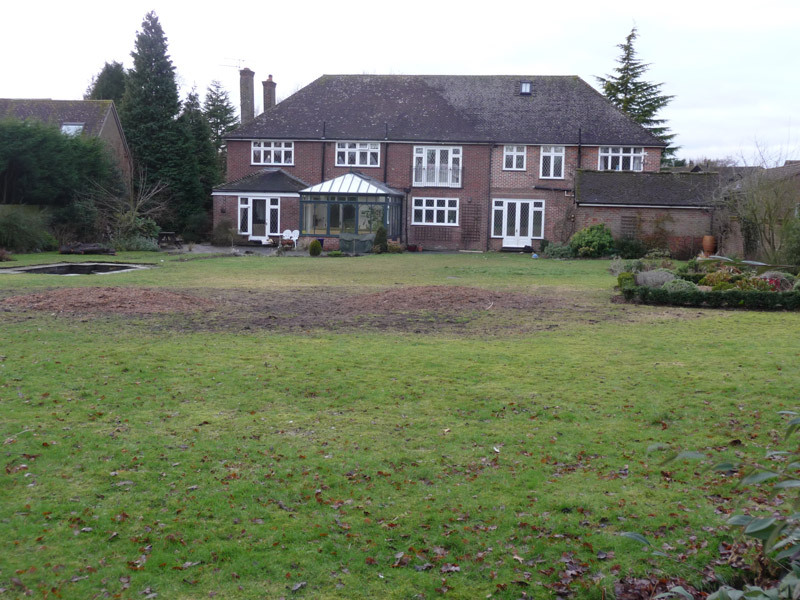 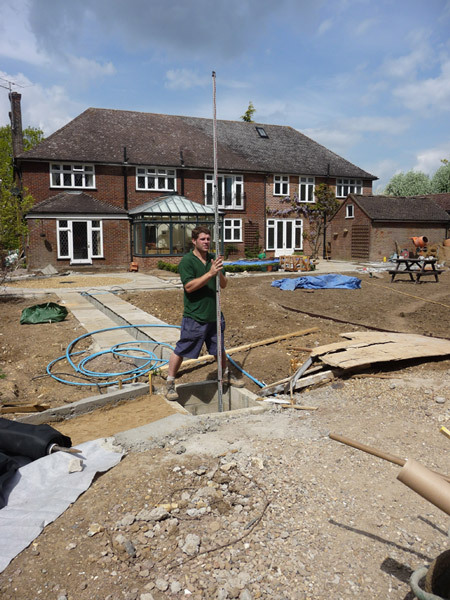 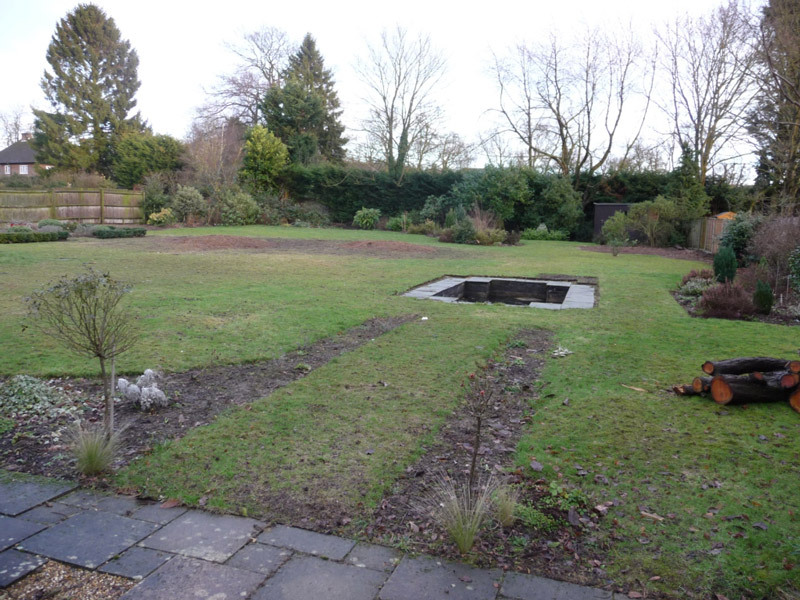 The brief for this project was to design a large, family garden that reflected the distinctive Arts and Crafts style of the clients’ house. 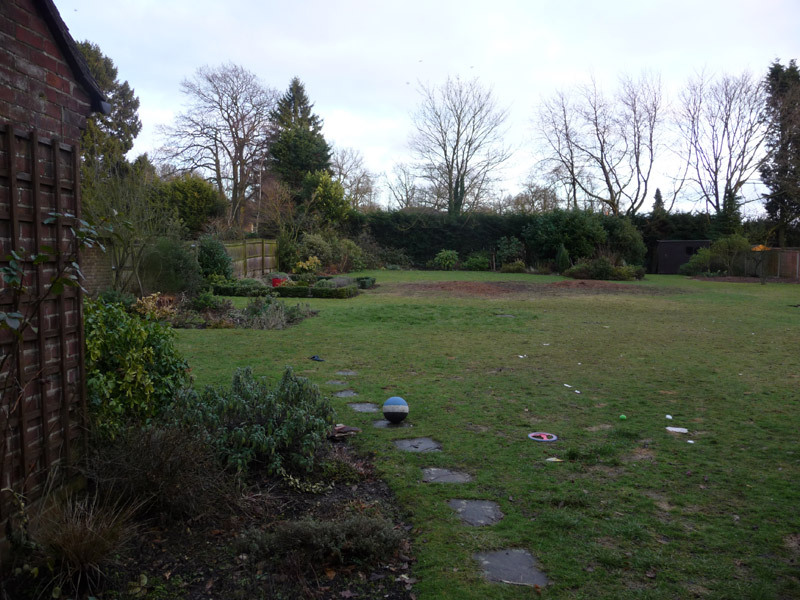 As well as having enough space to kick a ball around, they wanted their garden to have fruit trees, vegetable beds and a greenhouse for growing peaches and apricots. 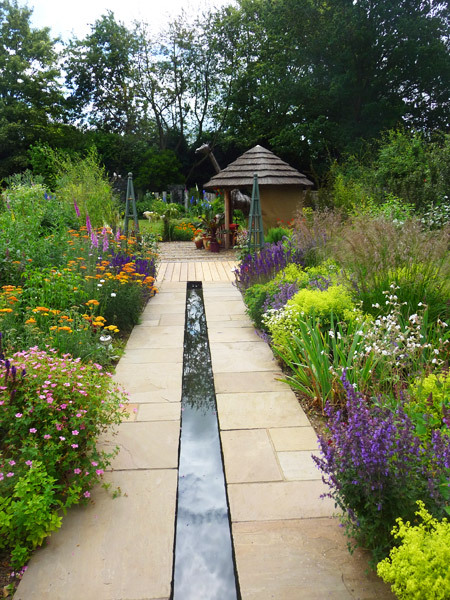 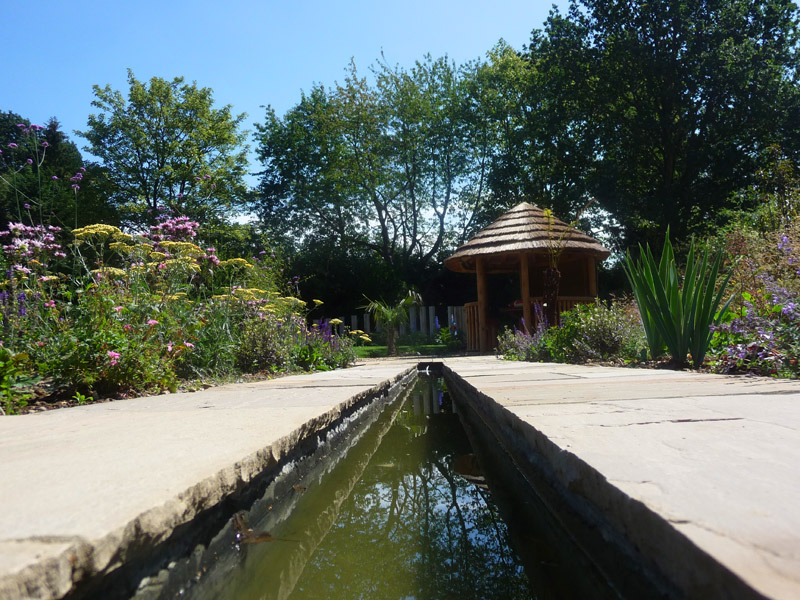 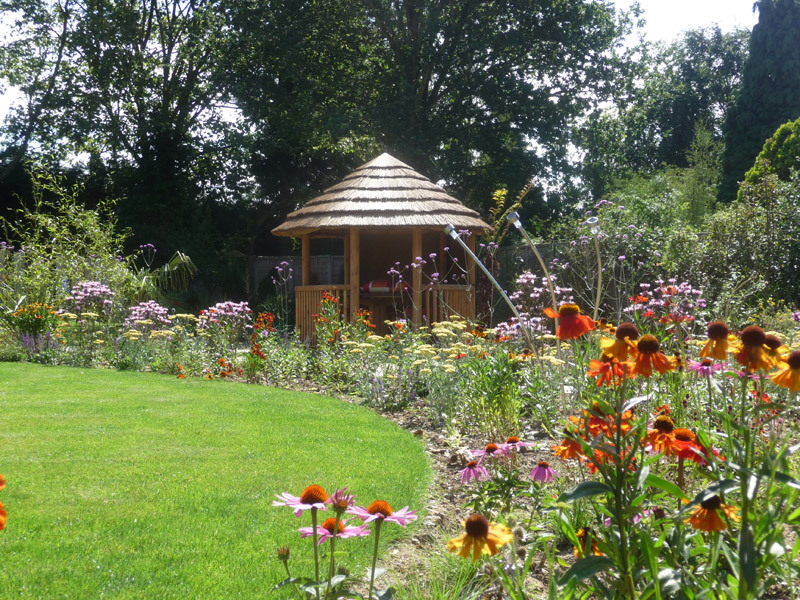 For us, designing this garden was about tapping into the decorative style of the Arts and Crafts Movement. 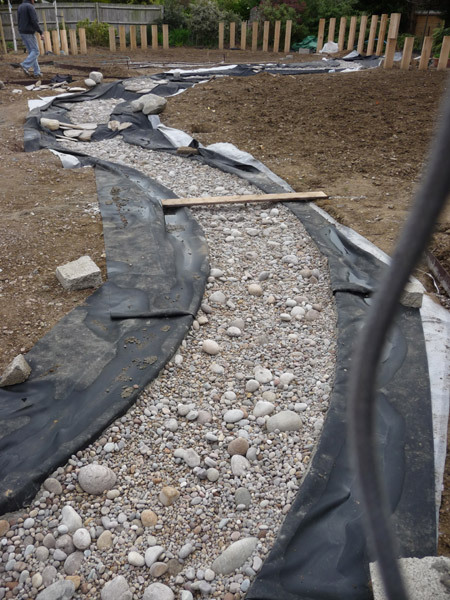 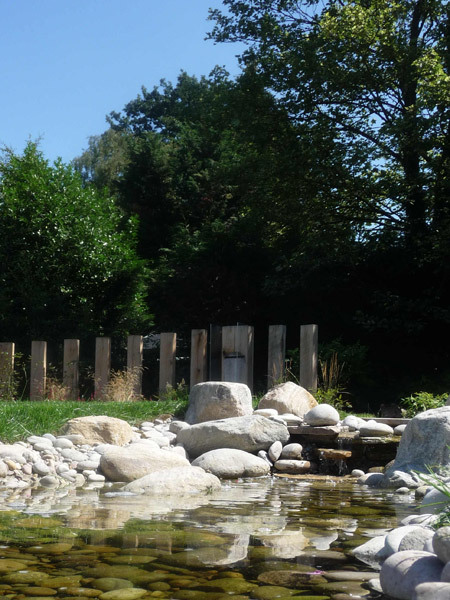 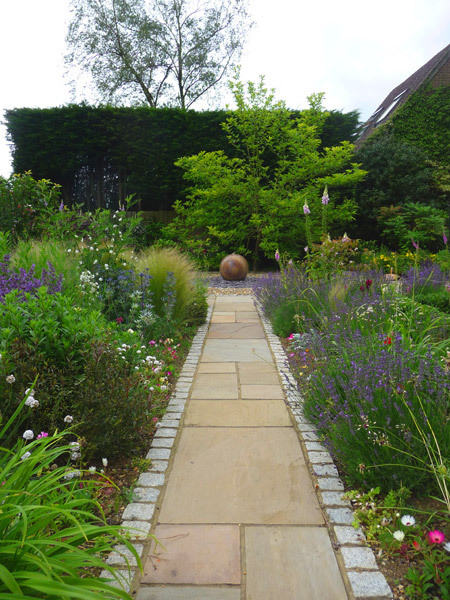 We wanted the garden to be in harmony with the rich, native woodland that formed its backdrop and in a sense to borrow it to give the new garden an extra dimension: the illusion that the garden continued on beyond the actual boundaries. 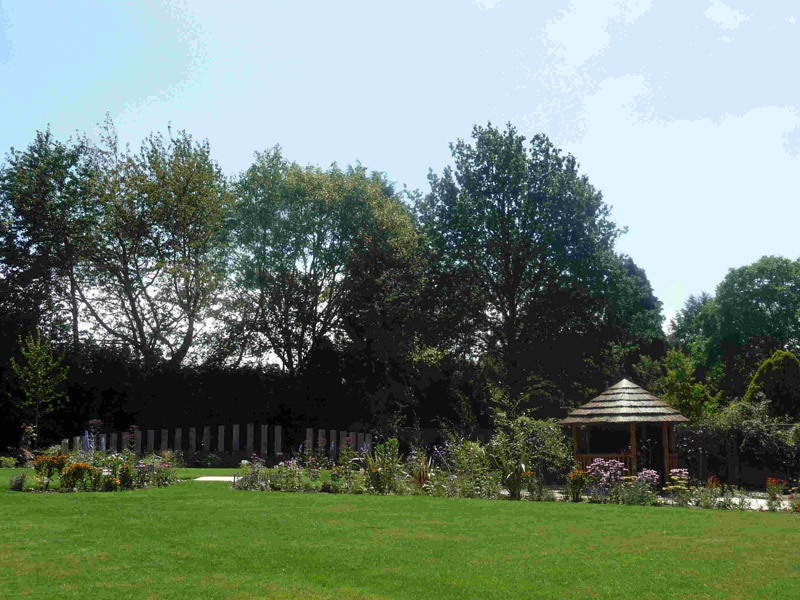 Additional broad leaf trees such as birch and purple beech were included within the design. 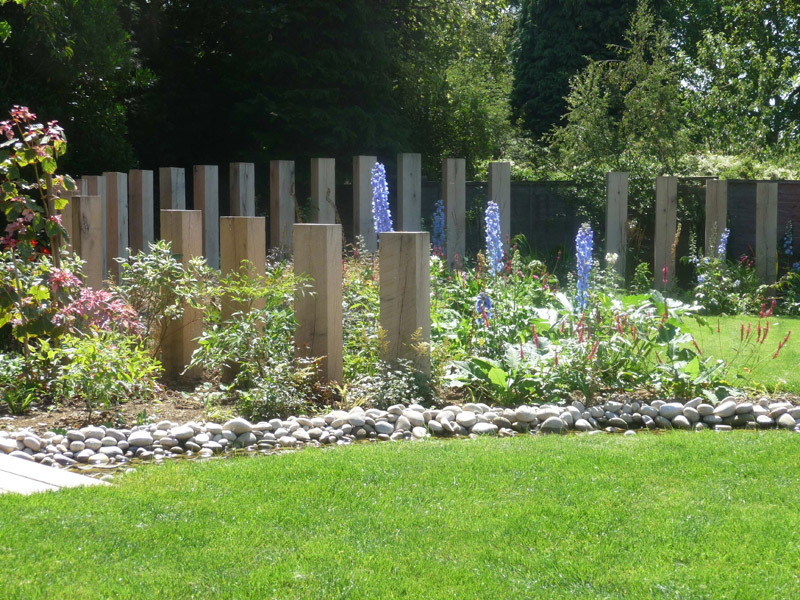 These mirrored the shapes and colours from the surrounding woodland, as well as attracting birds and other wildlife into the garden. 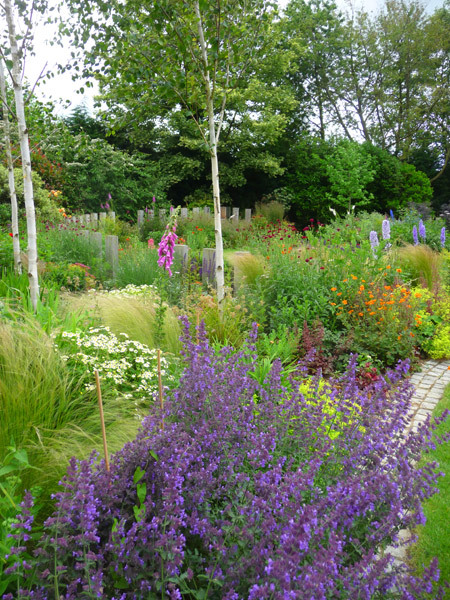 Bold drifts of perennial planting were designed to subtly divide the garden and provide a stunning flowering display from spring right through to the early winter, from Irises in the spring through to Asters, Echinceas and Japanese anemones in the late summer. 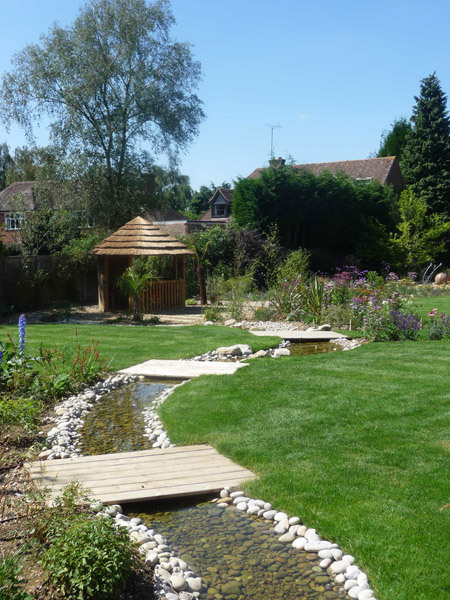 In keeping with the illustrative curves found in Arts and Crafts prints, we sculpted the garden with soft, flowing lines. 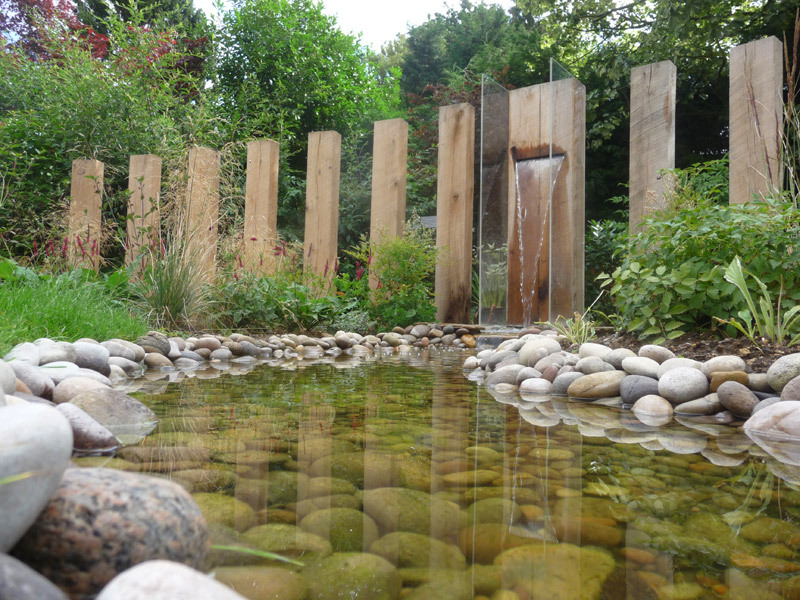 A waterfall at the back cascades down into a stream, which weaves through the garden under low wooden bridges until it runs into a formal rill as it flows towards the house. 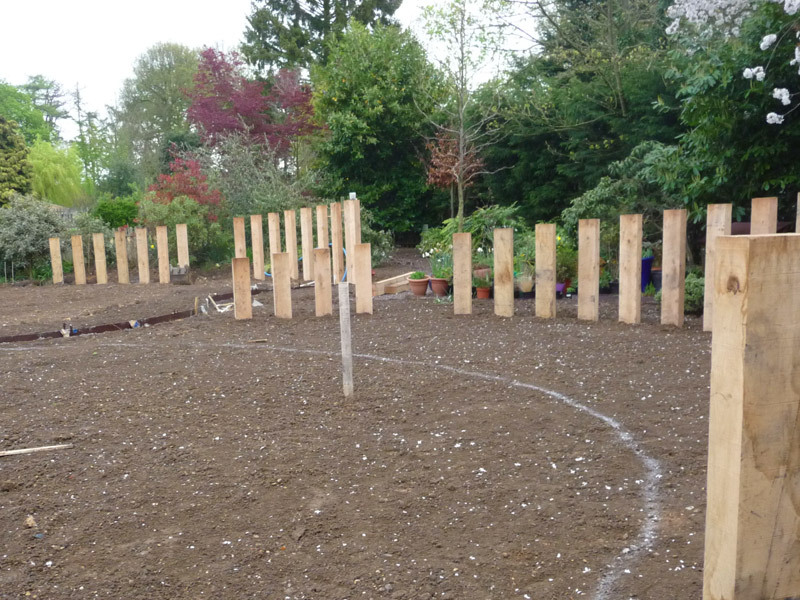 A series of oak pillars rises through the planting to form two gently curving arcs. 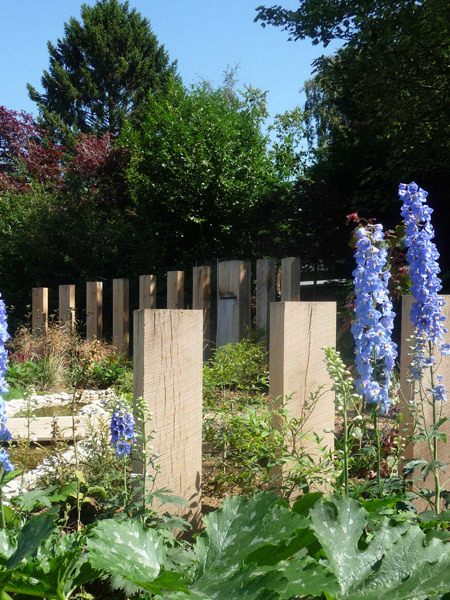 Oak was the preferred timber of the Arts and Crafts movement, and its simplicity provides a strong vertical accent and rhythm to this garden.